As I reflect on the panel that I addressed at the 7th African Youth and Governance (AYC) Conference held at the Pan African Parliament…I was privileged to sit with 4 driven young Africans that are making a difference in the continent with 25 African Countries represented in the conference. It was rather befitting that this conference came on the eve of the International Youth Day that is celebrated throughout the world. The AU has themed this year’s celebrations as “Promoting Proactive Youth Citizenship. It is rather profound seeing that one of the AYC‘s pillars is to ensure the Participation and Mobilisation of the Youth and being in the presence of such determined youth. With over 25 countries represented in the gathering, AYC is carrying forth the vision of building the Africa we want by mobilising our youth to become active citizens at home and in the diaspora. The AYC’s vision needs to be commended for playing a leading role in Africa’s renewal. The significance is that it was in Kwame’s 30’s was elected the president of the African Students Organisation while lecturing. We see Kwame ascend to office in 1960 when he is 51 years of age. At the age of 33, Thomas Sankara of Burkina Fuso, led a coup, during his rule one of his many celebrated achievements, is his commitment to women’s rights. In his 30s he recognised that key to the development of not only Burkina Faso but of Africa as a whole was improving the status of women. Sankara is recorded in history as the first African leader to appoint women to major cabinet positions and to recruit them actively for the military. When we look to the African Diaspora, we look at Malcom X…Malcolm X was 27 years of age in 1952, it was at this time that Malcom was paroled and was a devoted fellow of Nation of Islam. During his youth years, he ascended to be appointed as a minister and national spokesman for the Nation of Islam. In my language there is a proverb that says “Segotsa sa feteletsa”, which means if you inherit something from your parent, you have double portion of that trait…As the Youth of this continent, we have double portion of the bravery of our liberation leaders, we are bore of the womb of Queen Mother of Nana Yaa Asantewaa, the womb of Empress Taytu of Ethopia, a great military strategist. Who are the faces of leadership in the 21st century that could lead us to realising Agenda 2063? Today we live in generation with visionary leaders who are championing the renewal of the continent. We come from a generation of visionary leaders such as Thabo Mbeki, a leader whose teachings have offered the youth such as myself the opportunity to re-discovered their African self – rediscovered my African values. A leader who has offered me and others an alternative knowledge that have moved us towards becoming active citzens for Africa’s renewal through social and knowledge activism through his African Leadership Institute. We, the youth of today live in era with youth such as Eric Kaduru, Kaduru at the age 30, is helping thousands of out-of-school girls turn small tracts of unused land into money-making passion fruit farms in Uganda. Participating young women each receive a 240-square meter plot (about twice the size of a six-yard box in soccer) and 45 passion fruit vines to launch their own small-scale agribusiness. The young women produce anywhere between 220 to 330 pounds of fruit per month on average, which brings in a monthly income of $20. Some KadAfrica entrepreneurs make as much as $50 per month, a seriously significant increase from the average $3 per month the women earned before joining the program, according to a baseline study conducted in early 2014. This addresses the notion of providing access to youth to empower them and move them out of poverty. In the short time at the conference I met many youth with inspiring stories as these young people continue building our continent and making a considerable difference. I am proud to belong to the youth of this generation.The Chairperson of the African Union Commission, Nkosazana Dlamini Zuma fondly writes an e-mail to the future…so significant that she writes to Kwame…In the email, she talks of how implementation of the Abuja Treaty has accelerated and the creation of the African Economic Community by 2034 saw economic integration moved to unexpected levels…This email to me, shows the faith that our AU Chair has in this generation’s youth as we will be the one’s working towards making it a reality. In closing, I would like to quote the great Nyerere when he said “without unity, there is no future for Africa”, by so saying I urge you that unity always begins with you. In this week, I would like to challenge you to make this unity a reality for our modern day journey…I would like you to make a commitment to reach out to at least one person that and see how you can collaborate with someone outside of your own country, someone in the diaspora. Let us make Nyerere’s words practical, in a day where we can skype and viber, send emails, I encourage you to reach out to your fellow African brothers and sisters. Share the ideas and grow the ideas that you have discussed in this conference. Build those networks across the continent that will see Agenda 2063 realised as we continue to build the Africa we want and build a generation of leaders that are connected across various countries. Shukran, Merci, Obrigado, Asante Sana, Thank you! 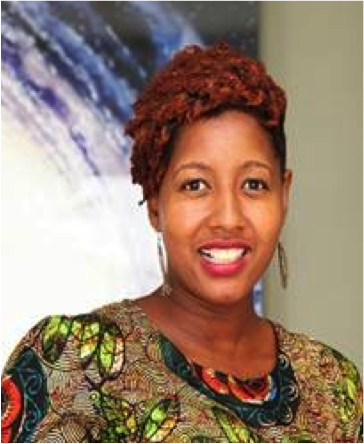 Lebogang is working as a Management Consultant with Deloitte and is an Afro-centric Speaker. Her true passion lies in serving her continent and has engaged in African studies to develop herself as an authentic African Leader. She holds a Bachelor of Business and Commerce from Monash University (Johannesburg) and a Master of International Business from Monash University (Melbourne). 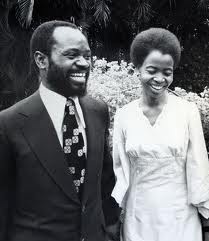 She has completed African studies courses through the Thabo Mbeki African Leadership Institute via UNISA, namely Africa and International Trade and Thought Leadership for Africa’s Renewal.